Has your website being affected by recent Mobile Update? 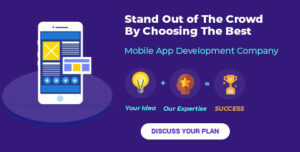 In what has come as somewhat of a shocker in the mainstream mobile app development sector. Google launched its own algorithm friendly mobile update and there has been a concerted effort on part of several digital marketing agencies and webmasters with regard to learning more about the overall impact of the same on search engine results pages. Concise information is not yet available to most leading SEO experts and agencies with regard to the actual impact of this update as of yet. This update has been named Mobilegeddon and has been launched amidst immense hype and speculation. Various SEO experts including SearchEngineLand.com have predicted a great impact on websites in comparison to both the Penguin and Panda algorithms but it has not been as devastating as expected according to them. Many other SEO experts have also corroborated this view. Nominal changes were being witnessed post the launch itself and positions kept changing in various first and second page ranked websites. The update will be gradually introduced over a period of time and developers should look to update their own websites without fail. This should be done even if a particular non mobile friendly website of your company has remained relatively unaffected by this transformation in algorithms. You should definitely make the jump to a site which is more mobile friendly and this will save you the hassles of having to make the switch in the near future when Google’s bots pick up the lack of updates and hit your website hard or even possible penalties that you have to pay. Even if your website has been affected badly by Mobilegeddon, you should look to change your site at the earliest. Google has been updating its mobile complaint data on a regular basis and you should start the switchover process to get back your original position. You should definitely look to transform your website into a lean and mean mobile avatar and this will help you avoid future penalties which will cost you hundreds of dollars in fines which is best avoided.